The four Golden Rules for an entertaining game. Why Responsible Entertainment is not a contradiction in terms for us. Play according to your whim. This refers to the entertainment factor of participating in games – without, however, leading to compulsive behavior. Avoid playing systems. Stands for open and transparent communication with our customers regarding the gaming terms, as well as signs of problematic gaming behavior. Don’t cry. Refers to the explicit notice to our customers to limit gaming to their individual financial capacity, so that they can get over any losses they may incur. Don’t be jealous and stop in time. Refers to enjoying gaming within safe framework conditions. How can the practical implementation of Responsible Entertainment succeed? Which principles drive us? The underlying legal regulations for providing gaming services are heterogeneously regulated at an international level. Even at the EU level, there are no clear regulations. 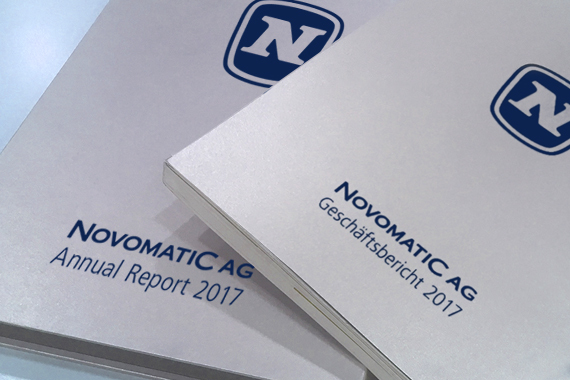 Consequently, NOVOMATIC has imposed principles on itself as to how we would like to offer our services responsibly. These are defined in the Group in our Corporate Responsible Gaming Code. In addition to this, we have decided to only want to offer our services in regulated markets. Protecting the youth is particularly important to us and goes alongside our aim to provide our customers with open and objective information about the conditions of gaming and possible symptoms of excessive gaming. Consequently, we take particular care to ensure that minors do not gain access to our offerings. Given the heterogeneous nature of respective national regulations, the technical manner in which our principles are implemented vary from country to country. As a result, please contact us using the following email address for further information: responsible.gaming@novomatic.com. All of our measures to protect our customers are based on the principle of enhancing our customers’ personal responsibility. In addition to information brochures, which are available in several languages free of charge both online and offline, our branch employees are also well trained and able to give proper information. Moreover, our branch employees also receive multiple levels of training to enable them to identify potentially problematic gaming behavior among our customers and to offer assistance. We have also imposed a certain limit on our own advertising measures: These are defined in our Corporate Responsible Marketing Standards and describe the limits of our marketing presence. For instance, we take care to ensure that no subjects are placed in media that are primarily directed at adolescents and the youth. Furthermore, the current results of a study conducted by the gamer protection office at the Austrian Finance Ministry were taken into account when developing our marketing standards (https://www.bmf.gv.at/steuern/gluecksspiel-spielerschutz/gesetzliche-grundlagen/196701.html).